The Lutheran Choralaires was formed after World War II by a group of young men with a love for their Lord, a talent for singing and a desire to bring the Good News of God's love to His people. Through the years they have supported and advanced many Lutheran activities, but their main purpose has always been to proclaim Christ in song. The members represent a variety of professions (including retirement) and reside throughout the metropolitan Detroit area and the southeastern Michigan counties. They donate their time, talent and treasure for most appearances, finding reward in the satisfaction that comes from singing the Lord's praises, while also enjoying the fellowship of each other and those they meet in their travels. Their spouses are an integral component of the success of the Choralaires, for without their patience, moral support and encouragement, the men of the Choralaires could not accomplish their mission. 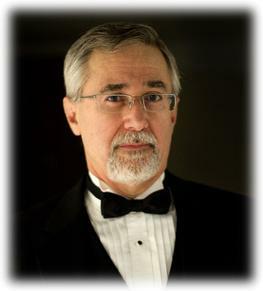 The Choralaires have been graced through the years with excellent directors in Gerry List, David Marasus, Erwin Aufdemberge and our current director, Terry Herald, a noted Detroit area composer and arranger. The chorus currently has two members who have been with the chorus since its inception. And, "Praise the Lord," we have an ever-growing number of second-generation singers. 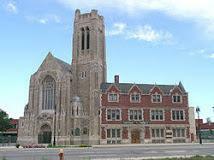 Rehearsals are on Wednesday evenings, September through May at St. Paul Lutheran Church in Royal Oak, Michigan. We thank God that He has blessed this ministry of over 70 years, for without Him, none of this would be possible. "Not unto us, O Lord, but to Thy Holy name give praise." We pray that He will continue to provide more opportunities to serve Him and His people, and that He will lead more young men to lend their voices to the chorus. Interested in singing with the Choralaires? We'd love to hear from you!